Best top-speed pack for the HPI Vorza Flux, Arrma Kraton BLX, Outcast BLX, Typhon BLX, Senton BLX, and Talion BLX. Ultimate pack setup for 600 sized helicopters like the T-Rex! Use two of these for the T-Rex 700E! Also a popular battery pack for UAV applications. Popular battery pack for Losi LST XXL-2E 1/8 scale Monster Truck and CEN Colossus XT MEGA Monster Truck. I received the batteries very quickly. They’re brilliant too. Better than any I’ve ever had. Definitely recommending you. Thanks for the good work, keep it up! I am running my 6s 5450 in my Arrma Notorious. I am getting longer run time and higher top speed than all of my fellow Arrma crew using Turnigy, Helios, and Lectron. MaxAmps are the best! Loved this Maxamps 6s Lipo battery. Great power and light weight. It is just perfect. Great battery but wish it had a hard case option. 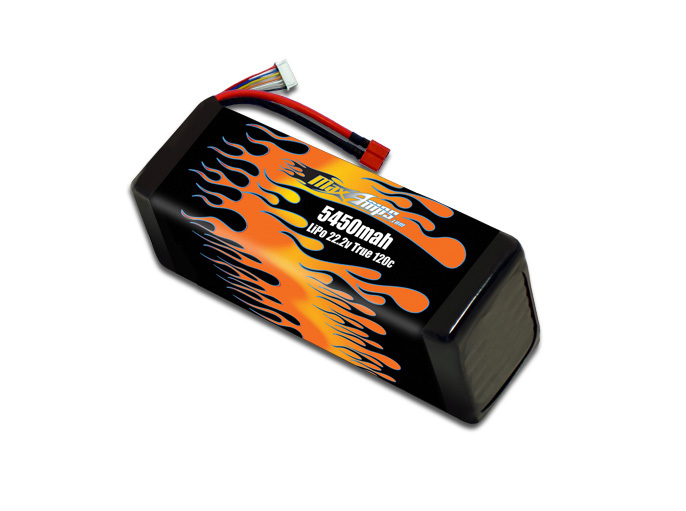 I bought this lipo for my speed car. I was running 2 3s lipos in at 86 mph. Changed to the maxamps 6s and shot up to over 100 mph. Really didnt like the price but its been a good battery so far.